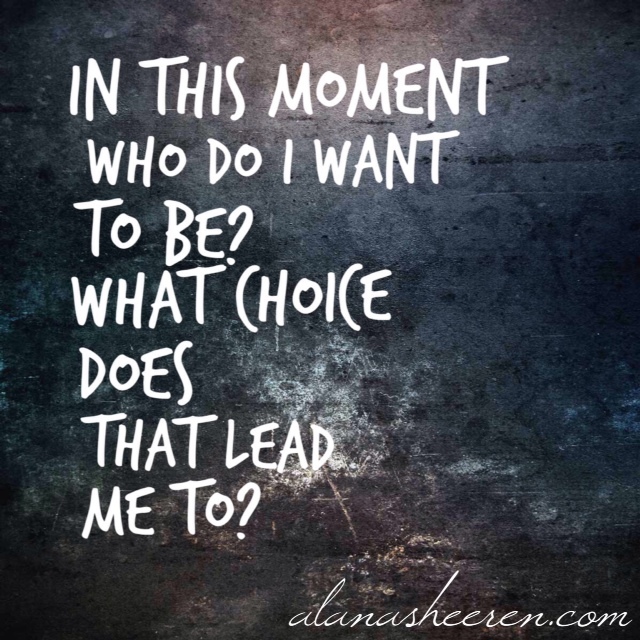 Mantra Monday: Who do I want to be? You might want to be the one who trusts that love is on the way, even if you can’t see the lover yet. Or maybe you want to be someone who wakes up feeling rested, healthy and full of energy. You might want to be the woman who walks confidently into a room or the one who is able to donate monthly to her favorite cause, even if it’s only $5. 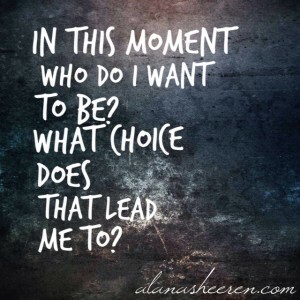 Ask yourself who you want to be today, this moment, this lifetime. Ask it often. And then see what choice it leads you to. Sometimes you’ll be that person and make the aligned choice. Sometimes you’ll stay up too late playing Candy Crush or eat the bowl tub of ice cream or continue to stare at your smartphone when your child walks up, wanting your attention. The more you ask – and answer – the question, the more time you spend living as the person you want to be (and already are inside). And that, my lovelies, feels really, really good. P.S. Even if who you want to be feels impossibly far away from where you are now, making little choices in the right direction will pave the way for big shifts. And being in alignment with your dreams opens the door for life’s magic to support you. Play with me this week (or longer) and let me know what happens. I can’t wait to hear.